Looking for books with a fresh perspective? Nancy MacCreery writes for people who enjoy action mysteries. Her books feature complex characters with a propensity for jumping into action in situations (often serendipitously stumbled upon) where little is known but evil must be uncovered and corrected for good. If you are intrigued by the challenges of our complex geopolitical world yet enjoy a touch of irreverent humor, romance and the antics of a group of intelligent, caring, sometimes fumbling and fun* loving cast of characters, Nancy’s books will offer you a great escape into a world of intrigue, trade-offs, and the crusade against evil. 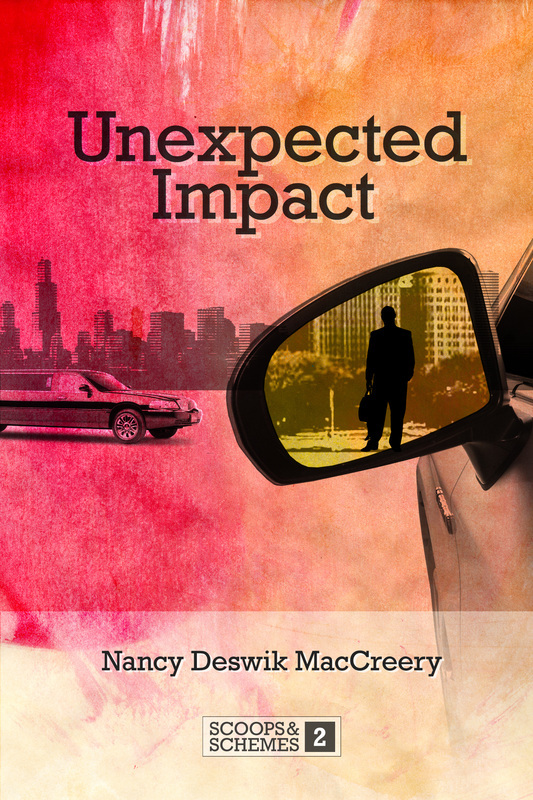 The Scoops and Schemes series includes Book 1- The Essence, and Book 2 - Unexpected Impact. Book 3 is in progress and this new adventure will be released soon. Nancy can often be found hiking, swimming, obsessing over her garden, reading, studying the political landscape, or dreaming up intricately woven plots while drifting on a boat at Jordan Lake, North Carolina while her husband fishes for that elusive “big one”. Be the first to hear about new stories, books and promotions by joining Nancy's mailing list. And don't worry, we won't send an update unless it's newsworthy ... or fun! "I loved this story. It's romantic, yet fast paced and intriguing. Excellent reading to bring with you on vacation, to the pool, on a plane trip, etc." "I thought the book was great! A love story intertwined with international politics, which is not something I have encountered before. A real page turner, perfect for a day in!" 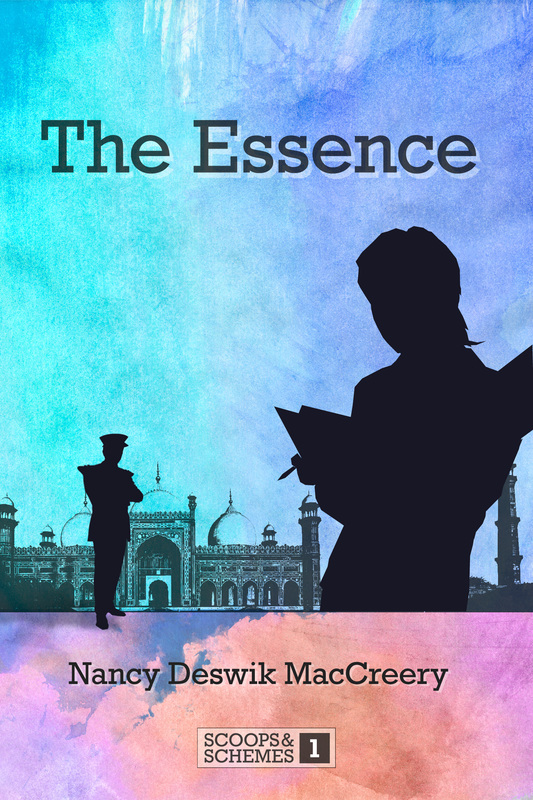 "I was looking forward to Nancy MacCreery's next book release after reading The Essence. Unexpected Impact was another great read. Sophia is a very likable character and her experiences in this book are true to life and to the corporate world. The plot was good with a good mix of mystery and romance." Nancy is a member of the NC Writer's Network , a great organization for those interested in fiction, non-fiction, poetry or business writing.